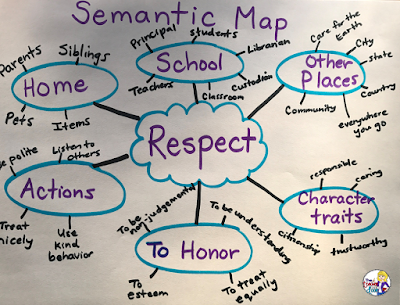 Teachers know that having a rich vocabulary is an asset to students as readers and as writers. We know that students who are avid readers, tend to have more advanced vocabularies than those who don't and that vocabulary acquisition is a wonderful side effect of reading quality books. One of our jobs as teachers is to not only encourage our students to love reading, but to provide instruction and activities which promote vocabulary development. Since students need repeated exposure (experts say 8 - 12 times!) for words to be able to be understood and used successfully, students need lots and lots of practice interacting with words. Variety is key, as the more fresh and the more fun we can make it, the greater the engagement. Here are 23 vocabulary activities you can use with your students to help reinforce vocabulary. Most activities may be played as a whole class, in small groups, or for center times. 1 = Define the word. 2 = Use it in a sentence. 3 = Say a synonym for the word. 4 = Say an antonym for the word. 5 = Draw a picture example (on scratch paper or whiteboards). 6 = Act it out. Use two different colored paper/cards. Write definitions on one color and words on the other. Place all cards face down. The first student selects a definition card and a word card. if they match, he/she takes an additional turn. If not, the cards are returned to their places and the next person takes a turn until all cards have been matched. The person with the most cards wins. These work especially well with content area vocabulary. Students write the word in large bold or bubble letters, define the word using their own words, and add several pictures which illustrate the word. Make cards with two words on each. The cards should have words which are either related, are synonyms, are antonyms, or are unrelated. Place the cards in a pile. One student reads the card and everyone writes what kind of relationship the words have (if any) on the whiteboard. To add an element of fun to it, have students who answer correctly take a move on a game board or even a hand drawn Tic-Tac-Toe. 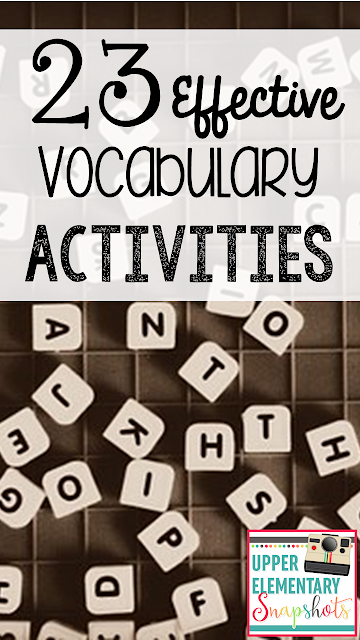 Put students in small groups of 3 - 4 and assign each a vocabulary word. The student should be given time to research the word and to prepare some type of short presentation for his/her group. It might be an art piece, a rhyme, a song, a short drama, or simply an easy way to remember what the word means. 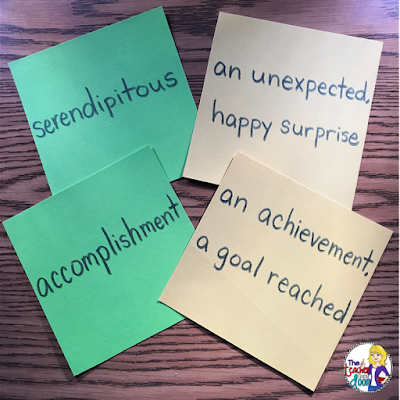 Teaching vocabulary words is an excellent way to master that word too! Each student is given a card with a word and its definition. Students take their card and move around the room to find someone to quiz. The first student says the word and asks what it means. The second student either gives the definition and is congratulated, or says "I don't know," and is then told the definition. The process is repeated with the second student, and then the students both move to find new partners to quiz. This is a teacher led activity. Start by asking the students a question using the vocabulary word. Make sure to begin each question with the tag line, "Tell me about..." Allow several students to respond and then change the question. Put vocabulary words on cards and students act them out, without using any words. You can play this as a whole class or divide the class into two teams. Make sure to give a time limit (2 minutes??? ), so students stay involved and don't get restless. This game is played exactly like charades except students draw an example of the word on an easel or on the board while the whole class or that person's team tries to guess the vocabulary word. Purchase new fly swatters (at the Dollar Store) for this activity. Place words on the board or on cards stapled to the wall. Divide students into two teams. The first person from each team goes first. Give a clue, definition, or example for one of the words. The first person to swat at the correct word wins a point for his/her team, and then the next two students take a turn. Write a word on a card and its definition on the other card. Hand out a card to each student. Students walk around the room until they find their matching card. Once all have found their match, the cards may be re-shuffled and the game played again. This is another great activity for so many concepts. For vocabulary practice, choose a word. Students activate their prior knowledge to brainstorm related words or concepts on scratch paper. The word may then be put into categories (done easily by underlining each category in a different color) and then placed on a poster. The main word goes in the center. The subcategories are drawn in circles around the main word and related words may be drawn off of the subcategories. Give students a blank Bingo template with 9, 16, or 25 squares and have them write a vocabulary word (from the board or a printed list) on each square. Instead of saying each word, give students a clue (definition, example, synonym or antonym) for each word. The first person to have an entire row vertically, horizontally, or diagonally wins. 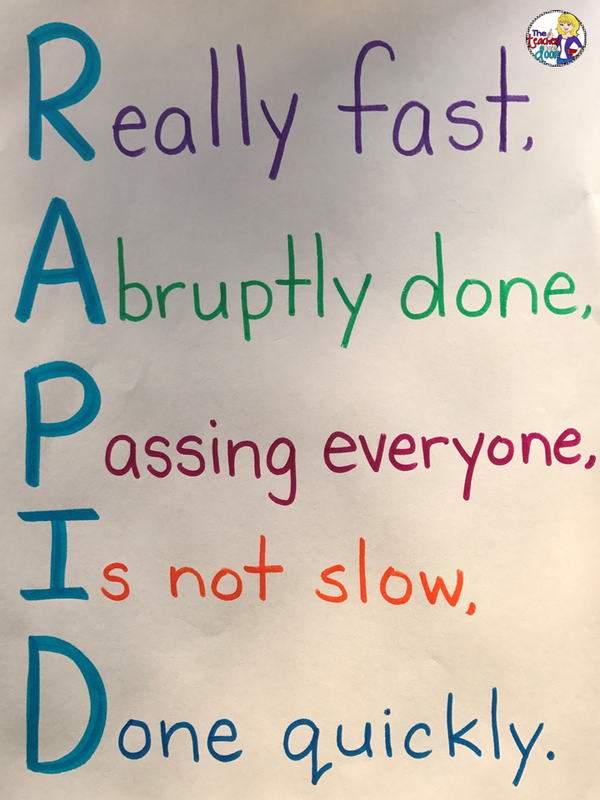 Acrostic poems are written with the focus word in capital letters going down the page on the left side of the paper. 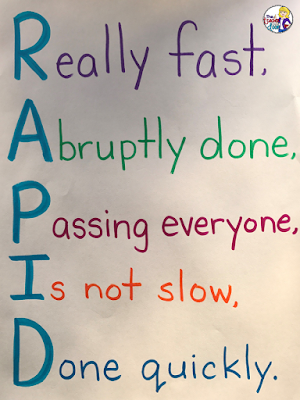 Students write the vocabulary word as the subject of the acrostic poem and then write short phrases which start with each letter and are related to that word, beside each letter. This is another teacher directed activity. Ask students questions which start with the letter "W", like who, what, when, where, why, or which. Which animal might be considered homely? When have you felt conflicted? Put your class into two teams. The first student from the first team goes to the front of the room and sits in a chair facing the class with his/her back to the board. This person is "on the spot" or "It". Place a word on the board so everyone can see it except the person in the chair. One at a time, team members give the person clues about the mystery word. If the word is guessed before two minutes are up, the team gets a point and it is the other team's turn. 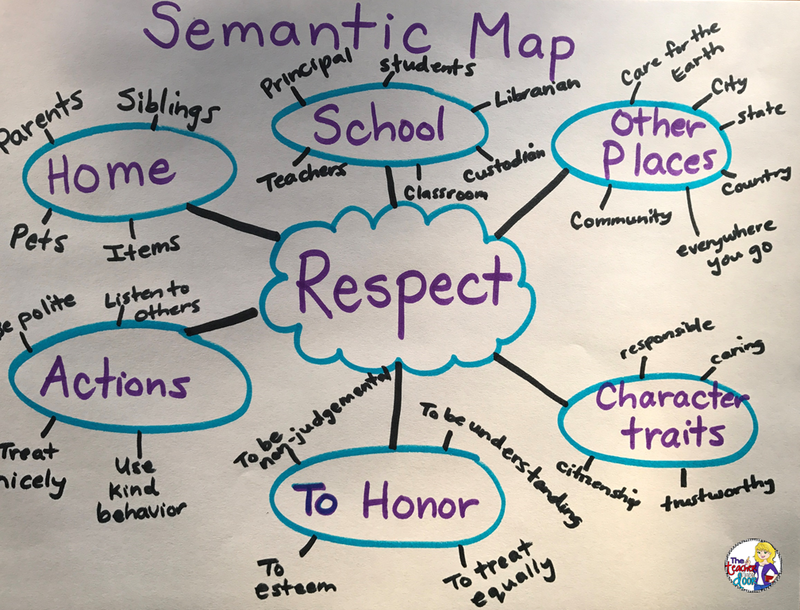 This teacher-led activity helps students connect new words to familiar ones to build connections in their brains. Place vocabulary words on the board. Ask students questions using more familiar vocabulary. Get all students involved by having them write their initial answers on whiteboards. You could call on volunteers for the follow-up question. Students use one or more vocabulary words to create a comic strip, adding the words as a part of the dialogue in speech bubbles. You could use a template, or simply have kids fold a long strip of white construction paper (maybe 6 in. by 18 in.) twice, to make four different panels. Rather than having a static word wall, add new vocabulary words and take them down once you feel most students have mastered the words. Not only is this a good reference point for students, it is great for transition times when you have a few spare minutes. You can play a quick game of "I'm thinking of a word that...means lucky, rhymes with towel, is the opposite of chaotic, is how you feel when you spill your drink..."
Students may suggest new words, you may find them yourself, or you can get them from sites like WordCentral (Daily Buzz Words). 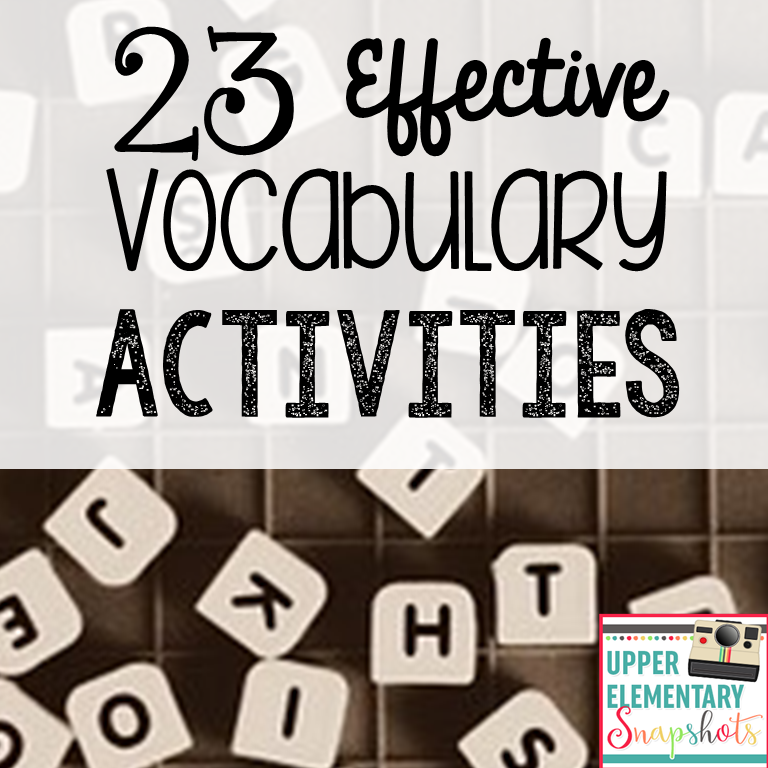 Make it a fun game and challenge kids to use the new vocabulary word each day in conversation. Students use vocabulary words to create a crossword puzzle on Discovery Education's Puzzlemaker website. When finished, students may solve their own or trade and solve another student's puzzle. 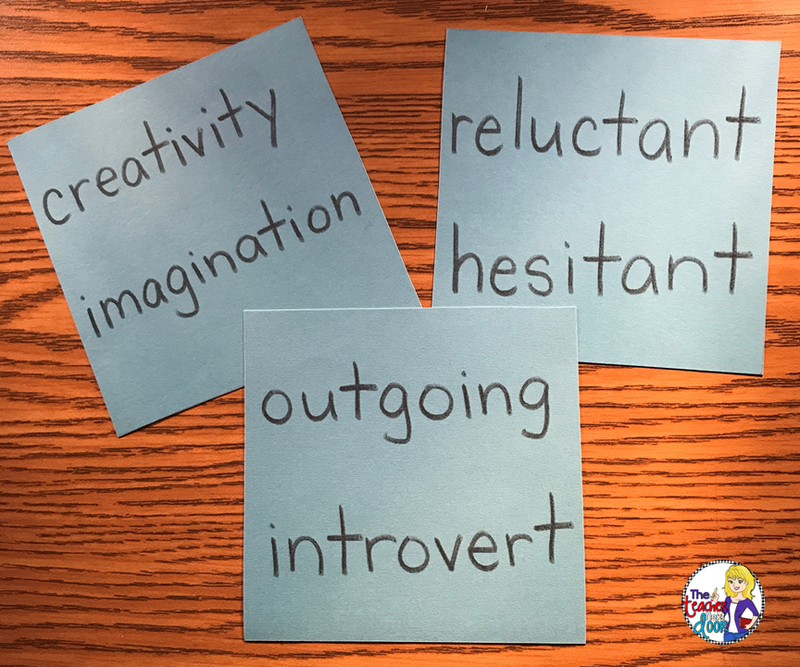 Provide students with a list of words on small pieces of paper, sentence strips, or cards, and have them move the words into related groups. Student pairs can each sort words and then play "Name My Category." 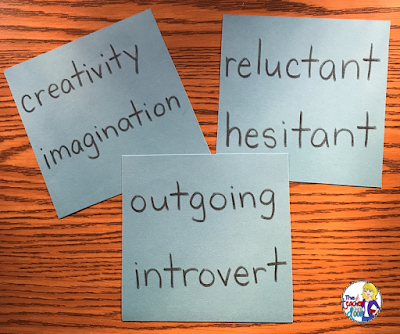 Give students a simple template with four squares and a box for the vocabulary word in the middle. Have them add the definition in the top left square, facts or characteristics in the top right square, non-examples in the bottom right square, and examples in the bottom left square. Context Clues Task Cards Bundles (3 Sets for each) for 2nd Grade, 3rd Grade, 4th Grade, 5th Grade, and 6th Grade. 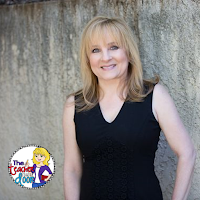 Hope this list has given you some ideas that you can use in your classroom! 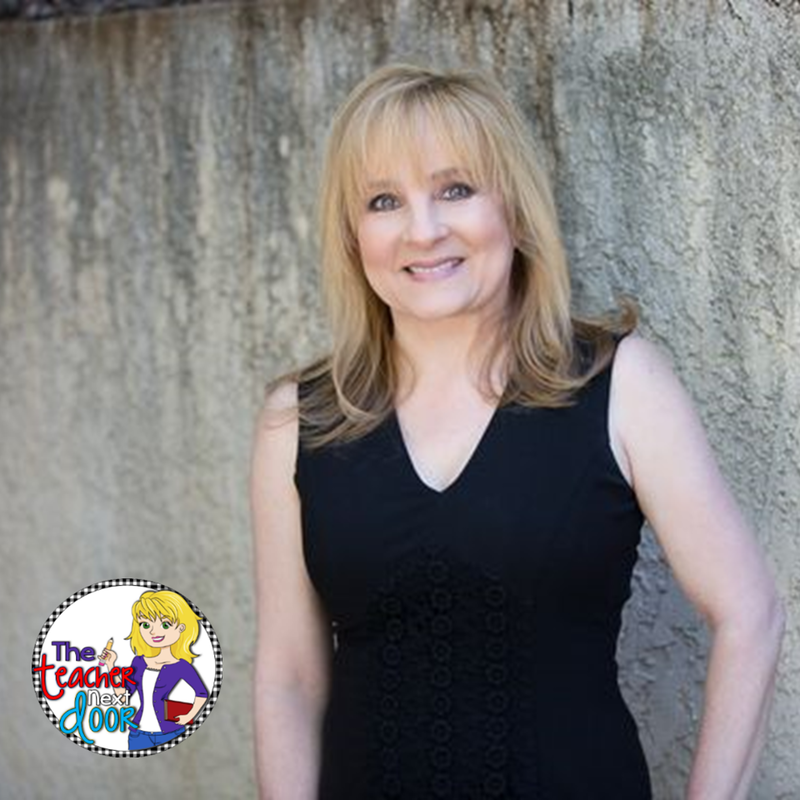 If you enjoyed this post, please share it with a teacher friend and if you have other fun vocabulary ideas, I would love for you to share them here.